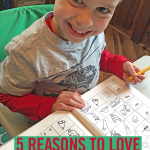 I read this article and wanted to share it with you: 5 Reasons to Love Explode the Code Phonics Workbooks https://blog.sonlight.com/explode-the-code-phonics.html. This year, I am working through the Explode the Code workbook series for the third time, and we all agree: it’s a winner. 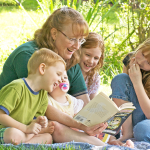 I often see homeschoolers asking if they really need the supplemental materials. The answer is no. You don’t need them. 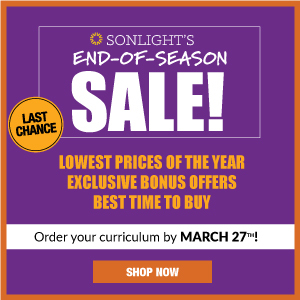 Sonlight is an excellent, stand-alone curriculum with no extras. However, I have seen so many benefits from using Explode the Code with my kids that I encourage everyone to add it on. After all, if there are extra benefits to be had, wouldn't you want them? Explode the Code is truly open-and-go. The instructions are clear and concise, and the activities are self-explanatory. I can literally open it up and teach immediately without any preparation beforehand. 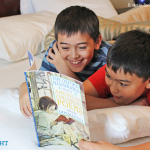 This perk is invaluable for a busy homeschool mom of four. Have you ever bought a book to supplement your curriculum just to get home and realize that you don’t really know how to integrate it into your current curriculum? I hate to say it, but I have a shelf full of things like that. They looked fancy and fun, so I bought them, thinking I could work them in somewhere. But I never could figure out quite how to pair it with what we were currently using. 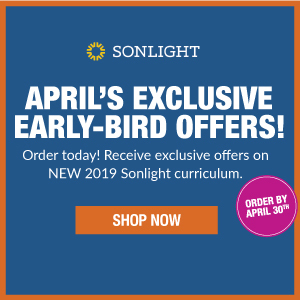 Sonlight Language Arts Instructor’s Guides schedule Explode the Code pages, giving you page numbers to correspond with what you are teaching. 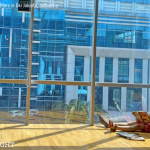 It takes all the guesswork out, and gives you precious time back by doing the hard work for you. That’s a win for me. Explode the Code (ETC) is simple and purposeful—something I value greatly. 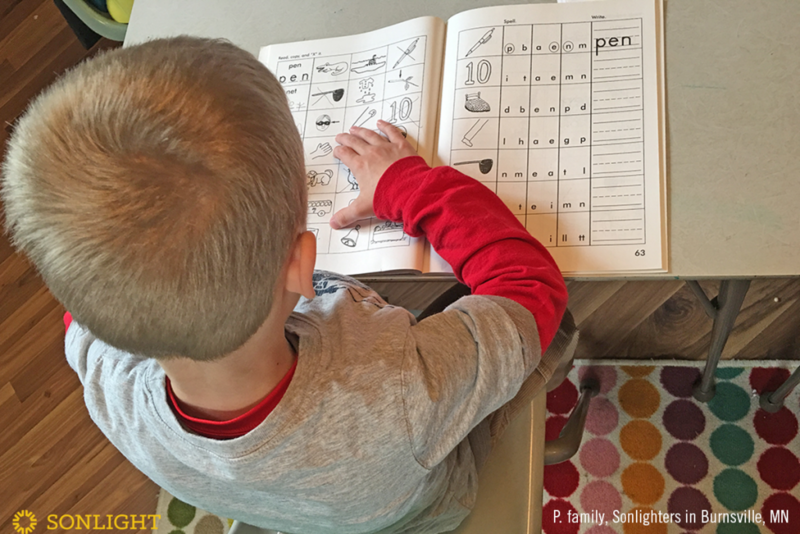 I love that I can hand my kids a rare worksheet and know that they can complete it independently. I also love that it isn’t busywork. 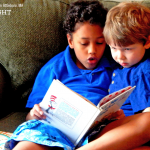 There aren’t too many tasks on each page; instead, the work is just right for teaching the concept. I appreciate how well Explode the Code reinforces the phonetic concepts that I’m teaching. 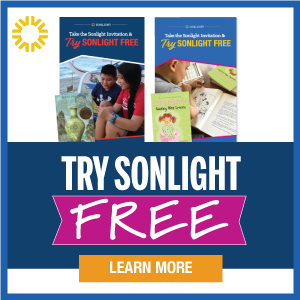 While I have certainly ventured out and tried other supplemental materials, I have never found a phonics study that corresponds with Sonlight and works better than ETC. 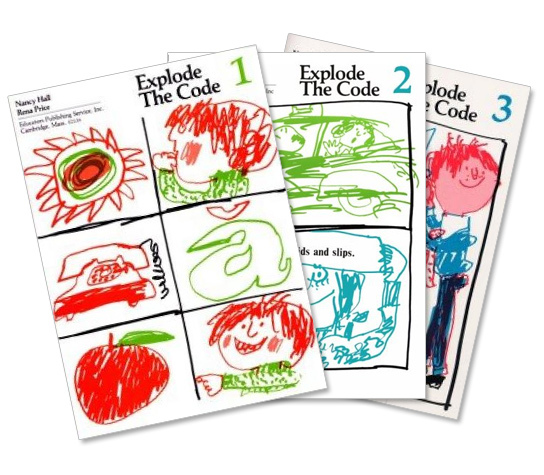 My kids have always enjoyed the activities in Explode the Code. 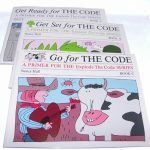 From the fun listening activities in the Get Ready for the Code series to the silly sentences in the Explode the Code series, my kids are always tickled about something in their lessons. I mean, “A cake is in the bath?” I don’t think so! 5. Explode the Code Works! 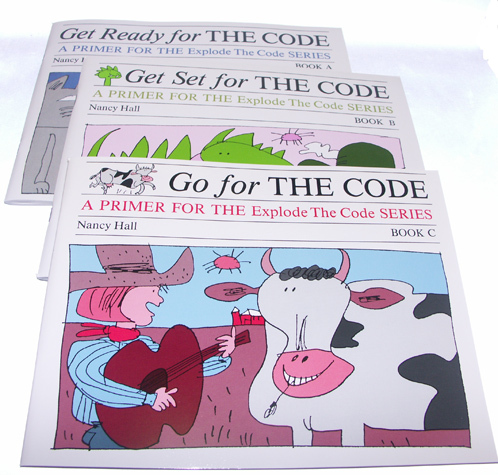 My children have all been early proficient readers, and they have all started with the Explode the Code series. 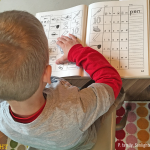 I’ve never had to spend much time and effort on explicit phonics instruction, because ETC is such an easy guide. My children have learned about everything from vowel and blend sounds to prefixes and compound words. 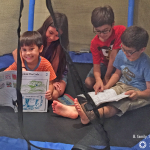 It is a complete phonics curriculum, and it has proven effective for my family over and over again. 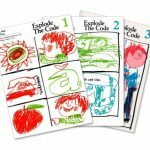 The only complaint that I ever had on our use of Explode the Code came when my very artsy daughter found the pages to be too void of color for her taste. I quickly took care of that by reframing her thinking. 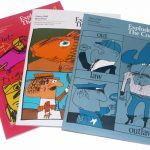 I helped her to see that the creators gave her an excellent gift in that she could decorate and color the pages however she liked, rather than having to depend on someone else’s tastes to make it pretty. That squelched all of her protests, and she promptly pulled out her colored pencils and went to work. 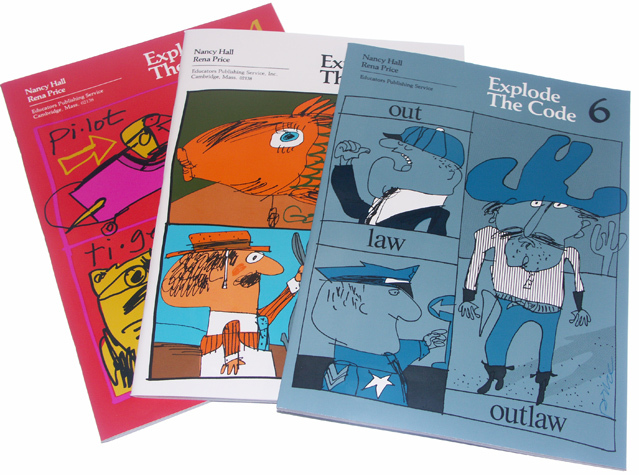 I am fairly confident to say that we have the prettiest Explode the Code series worksheets out there. My boys were exactly the opposite. Not only did they care less about the color on the page, but they preferred the simplicity of the simple line drawings. They stayed focused instead of being distracted by every purple balloon floating on the page. 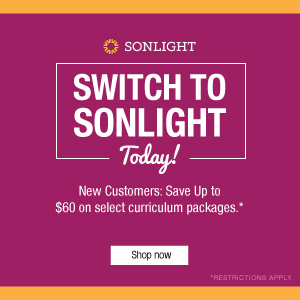 It is rare to find a curriculum that works so well for both boys and girls, but Sonlight has found the sweet spot. Explode the Code is loved by all of us.